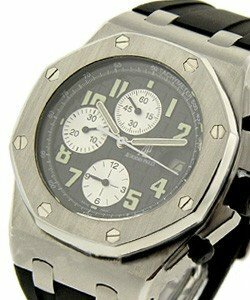 This watch is also known as: 26170ST.OO.D305CR.01 , 26170ST.OO.D305CR.01 , NAVY26170st.oo.d305cr.01 . 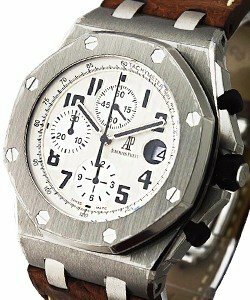 Original version of the Audemars Piguet Royal Oak Offshore Chronograph NAVY has automatic movement and a 44m stainless steel case. 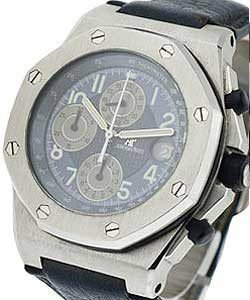 This Audemars Piguet Model # 26020ST.OO.D020IN.01 has a white guilloche dial pointing to luminous blue arabic numerals and a blue horn back strap with a deployment buckle. 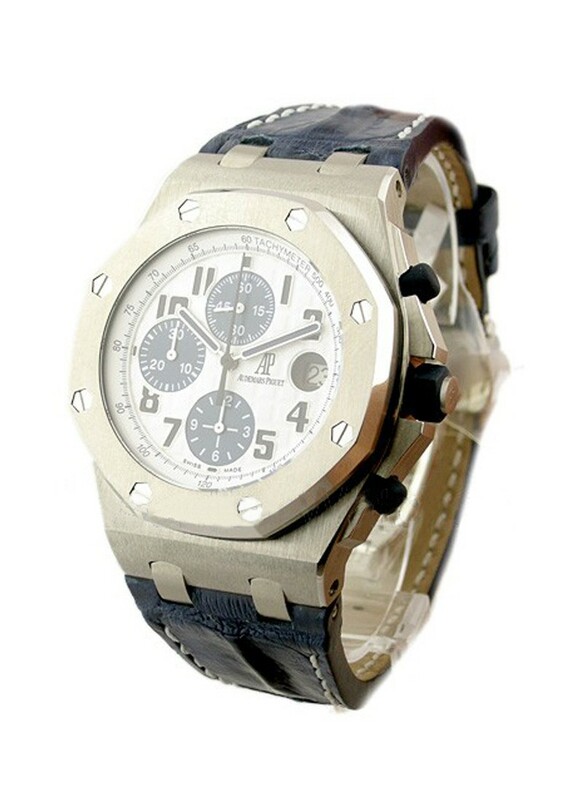 The Audemars Piguet Royal Oak Offshore Chronograph has a self-winding chronograph technology and a tachymeter scale. 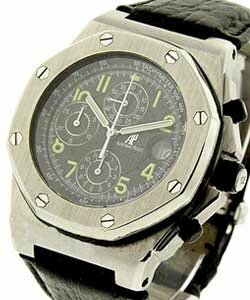 Other features of the Audemars Piguet Royal Oak Offshore Chronograph include being water resistant up to 100m, date display located at the 3 o'clock position and a screw-down crown.